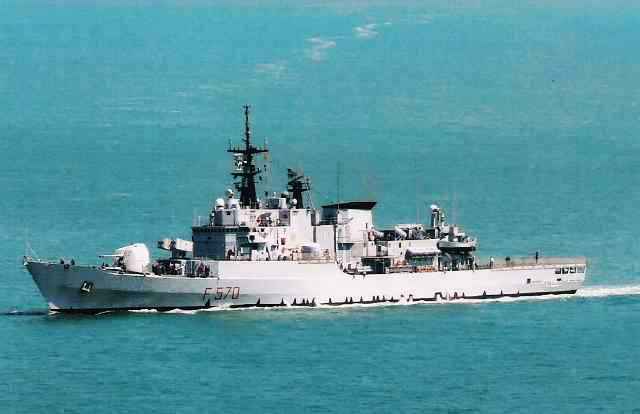 MANILA, (PNA) -- A ranking Department of National Defense (DND) official has said the option to acquire second-hand frigates to boost the numbers and capabilities of the Philippine Navy (PN) has been waived. Fernando Manalo, DND undersecretary for finance, munitions,installation and materiel, said this because evaluation studies found out that acquiring these vessels will be more costly in the long run. "The PN found out that it will be more expensive to maintain second hand vessel(s) than buying a new one," he added. With this conclusion, the Italian-made "Maestrale" frigates, are no longer in the running for possible acquisition by the Philippines. "Its no longer being evaluated," Manalo stressed. The "Maestrale" was earlier touted by the DND as the next ships to be acquired for the PN due to its credible missile and anti-submarine capabilities. With this development, Manalo said the Philippines is now looking for new build naval ships with the same configuration. The DND earlier said that five countries have expressed their intention to sell the Philippines modern frigates and offshore patrol vessels which will help the country protect its vast maritime territories. These offers came from the United States, Israel, Croatia, South Korea and Australia. All vessels being offered by these nations are brand new. Manalo added that offers of the above-mentioned countries started coming during the last quarter of 2012. The DND official attributed the sudden influx of would-be-suppliers to the fact the Philippine is now seriously upgrading its military forces. The Philippines is in the market for two modern and powerful frigates in order to enhance its maritime domain awareness and protection capabilities.